Its been a world-wind month and its only the 8th of January. It started with me ridding myself of my car that I had for over 10 years and learning all the ins & outs of the "selling" process. 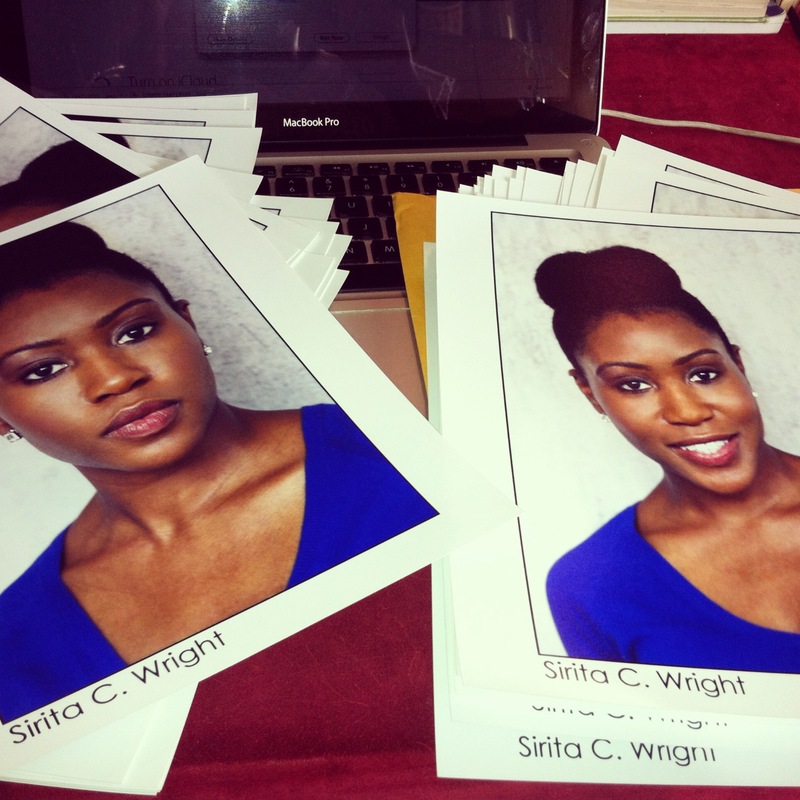 I have also been working on finishing my acting reel and unfortunately its STILL INCOMPLETE. The most important lesson I've learned since pursuing acting is that PATIENCE is indeed a virtue. I swear even when I have all the ducks lined up and am ready to rock & roll God has his own time schedule that's filled with delays, drama, grace and mercy at the SAME DAMN TIME! I have had such a wonderful time these last few months as I've been navigating my acting career. My scene study class last month really got me clear on creating a technique for cold read auditions, and I got great feedback from my instructor at our final evaluations. I am working diligently to take my career to the next level. I had been casual, now I'm committed. I start a commercial acting class next month and I am really looking forward to it. If it all goes well not only will I get good feedback, but possibly an agent! That's what 2014 is all about for me, financial re$ults! I have been attending business and goal setting seminars since the new year started, which I will blog about and I was gifted some great acting books by not only my parents but also my neighbor who is an actor as well! Get in line with God's will, have faith, and the provision will be provided. Now, of course I've been cooking and eating like a small hog. 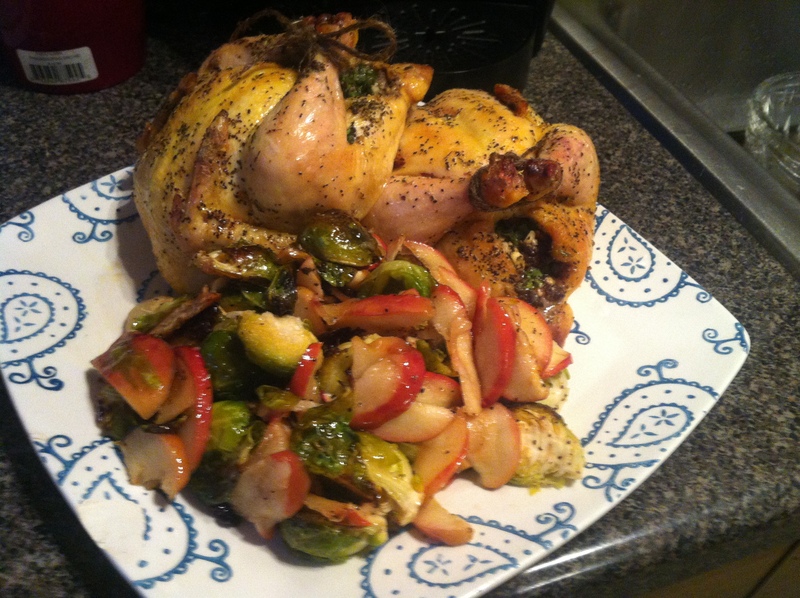 I had a ball over the holidays making "holiday" Quiche's and stuffing Cornish hens. I even made a brisket for my family back home in MD, though I didn't get to eat any, because my sister and I had to head back to New York that same morning. What I do know is that muthasucka was good because the aroma coming from that crock-pot around 2am was speaking to my soul, stirred me right outta my sleep! 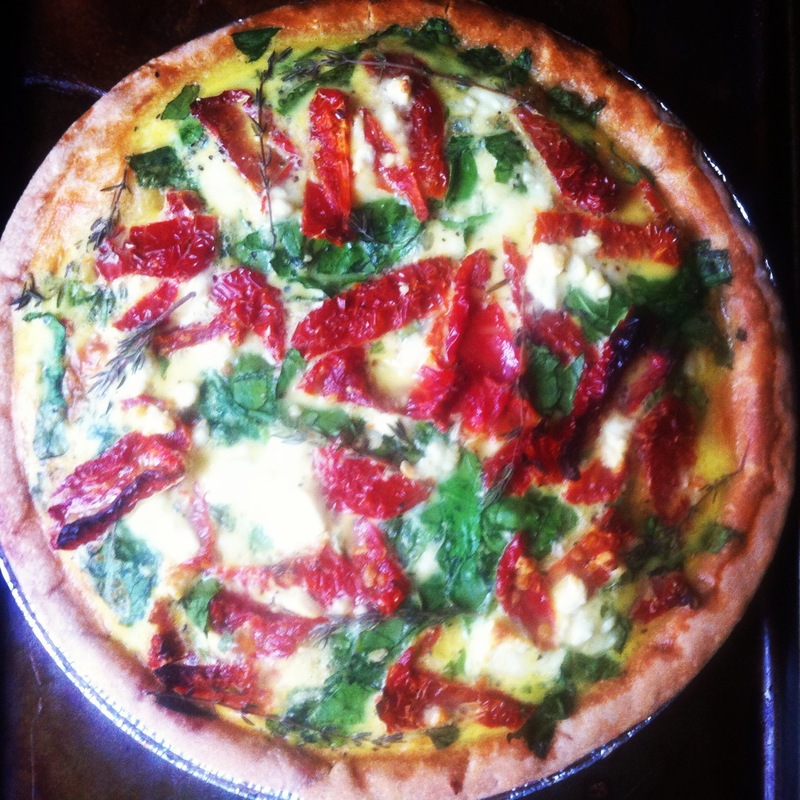 This Quiche is filled with spinach, sun-dried tomatoes and fresh thyme, mix in 5 eggs, season to taste and bake for 45min at 350. This is a really simple and fun breakfast alternative. The good thing is that it can be eaten any time of the day. Add a side salad, sweet potatoes, or pair with chicken you've got options and meals galore! Yes I do have twine in my kitchen! It gets real in Bedstuy! 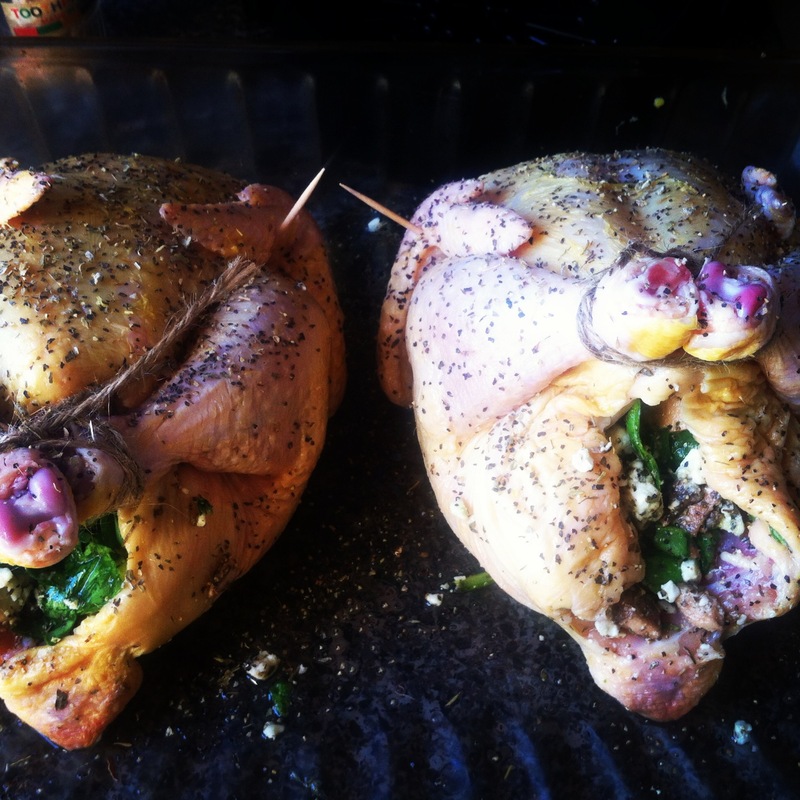 I filled these beauties with fresh thyme, spinach, feta cheese and baked at 400 for 1hr and 25min, or until juice near thigh runs clear. 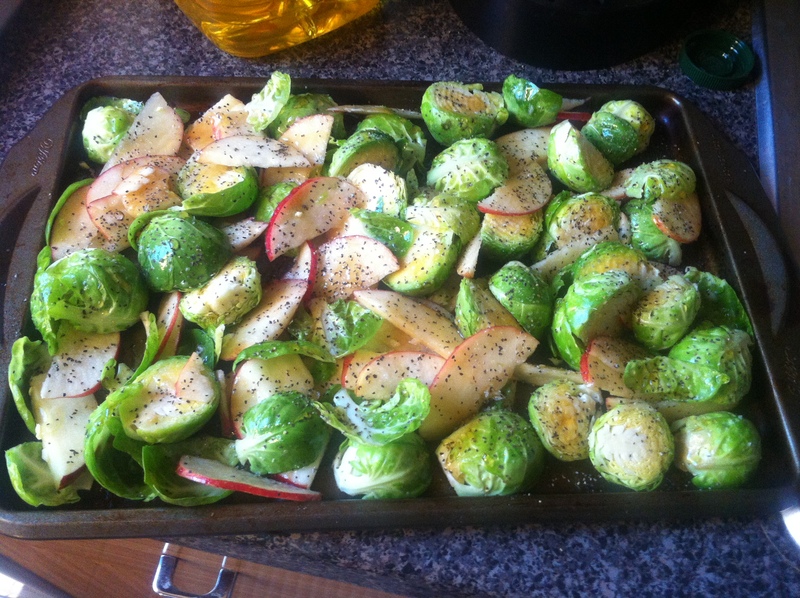 For the sides, I roughly chopped the apples and brussels sprouts, mixed them with about 2 tbsp of EVOO and put them in the oven for about 40mins or until tender. This week I've made everything from pan seared Mahi Mahi to a penne soup filled with carrots, spanish onions, and both red & purple kale! Tomorrow I am trying my hand at a pork tenderloin!